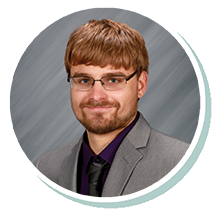 Alex joined Stearns Bank in 2016 and has worked as a credit analyst in equipment financing and now as an SBA lender. He enjoys finding unique solutions for each customer that comes his way. Every single transaction is different and requires a different solution, which makes every deal fresh and fun for Alex. He enjoys meeting customers from all over the country and learning what specific needs they each have while learning about their small business in the process.